Easter Sunday | April 21st @ 9:30 a.m. Located in the small town of Lowry, St. Paul’s Lutheran is a congregation of the Evangelical Lutheran Church in America (ELCA) which strives to be a faithful, welcoming, and caring congregation by inviting all to grow in Christ and serve him. WORSHIP | We invite people of all stages of life to join in worship—families with young children, couples, individuals, young, and old. We have a fully accessible facility which provides people of all ages an opportunity to participate. We are a church that belongs to Christ. There is a place for you here. EDUCATION | Along with our worship services, we strive to educate our children, youth, and adults to help them grow into faithful servants of Christ. FELLOWSHIP | Fellowship is an important part of who we are. From fellowship after worship service to community events throughout the year, we seek to nurture our communal relationships in order to be a more faithful and loving people. SERVICE | The people of St. Paul’s seek to be active participants in God’s work in the world from our immediate community to around the globe, endeavoring to connect each other to Jesus by reflecting God’s unconditional love in humble service. We are an imperfect people, but freed from sin, death, guilt, and shame – not by our own work but by the work of our loving, gracious, and merciful Savior – our community’s calling is to worship, to be community, and to love our neighbors as ourselves by sharing the gifts that have been given to us. God’s purpose for our church is to proclaim the gospel of Jesus through word and deed. 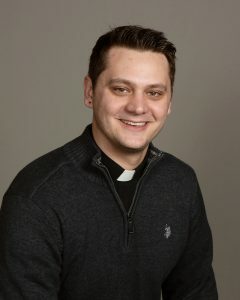 St. Paul's Lutheran Church of Lowry has a long and distinguished history, beginning on July 27, 1874 when the church was organized with the help of Reverend Christian Saugstad, who became the first pastor. Since then, St. Paul's has seen many changes, from the log building constructed in 1875 to the frame structure erected in 1904, and then moved into the village of Lowry in 1920, to our new church home built in 1997. In participating in God’s mission we hope to continually serve as a place of peace and hope. An opportunity for those in grades 7-12 to engage in fellowship as well as service, both within our congregation and throughout our community. This youth group meets monthly throughout the school year planning fellowship activities, seasonal service projects, and our annual summer service trip. The mixed choir provides special music for worship and special occasions. Men and women are all welcome. If you are interested in joining this choir, they practice at 11 a.m. after services each Sunday morning. A calling tree is established to spread the word for a prayer need. Please contact the church office if you have a person or circumstance in need of prayer support. Our Sunday School children practice weekly on Sundays before Sunday School Class and sing during worship on various occasions throughout the schoolyear. WELCA is an impactful ministry group that provides service, devotional, and community opportunity here at St. Paul’s from clothing drives, to Bible study, to Sunday morning coffee. Confirmation at St. Paul’s follows a two-year curriculum where 7th-8th graders meet weekly on Wednesdays during the school year to learn the biblical narrative and Lutheranism. Confirmation also includes worship participation, service, and fellowship. There are two Bible study groups that meet in homes or at church. Monday evening Bible study is held on the second Monday of each month at 7:00 p.m. Thursday afternoon Bible study is held on the third Thursday of each month at 2 p.m. This group meets at St. Paul’s and is open to all in the community for fellowship, breakfast, and a light Bible study. The gathering begins at 7 a.m. the first Saturday morning of the month during the school year. Along with its traditional offering, St. Paul’s also includes a “noisy offering.” Bring your change and it will be collected during each worship service by some of our youngest members. 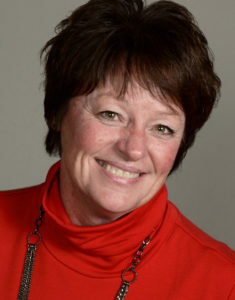 Noisy Offering supports various local, national, and global service organizations. Discovery Days Preschool—a non-profit, state licensed, parent cooperative preschool which serves three to five-year-olds and runs from September to May—has been housed in our education wing since 1989. For more information call (320) 283-5123 or Click Here. 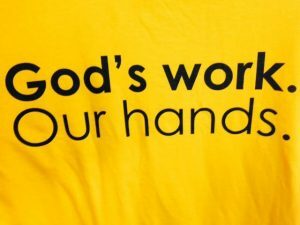 “God’s Work Our Hands Sunday” is a dedicated nation-wide day of service. It is a day where we as St. Paul’s Lutheran Church work to make God’s love visible in our community in the form of various projects from visiting homebound members to cleaning up the parks and streets of Lowry. 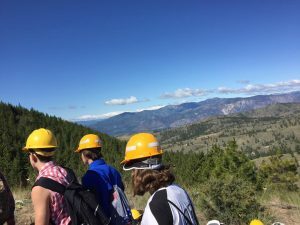 Each summer our youth volunteers are equipped and sent to various places in need. They have worked with organizations such as Feed My Starving Children and Lutheran Disaster Response to pack meals for the hungry across the globe and join relief efforts in areas affected by natural disaster. The trips are formative for both discipleship and fellowship. Open to anyone in the community who wants to learn to knit or crochet, or if you’re accomplished at either, Stitchin’ Chicks is a place to learn or to share those talents. Fellowship and mission work are combined. Meeting on Tuesday evenings. Several hundred quilts are made each year and donated locally and to Lutheran World Relief. The group meets on the last Monday and Tuesday of the month at St. Paul’s. St. Paul’s prayerfully and financially supports the ELCA and its local and global missions. To find out more about these local and global missions, Click Here. 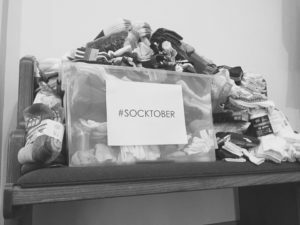 Every October our congregation holds a sock-drive in order to collect new pairs of socks. At the end of the month the socks are donated to local organizations who make them available for those in need. © 2017 St. Paul's Lutheran Church. All Rights Reserved.